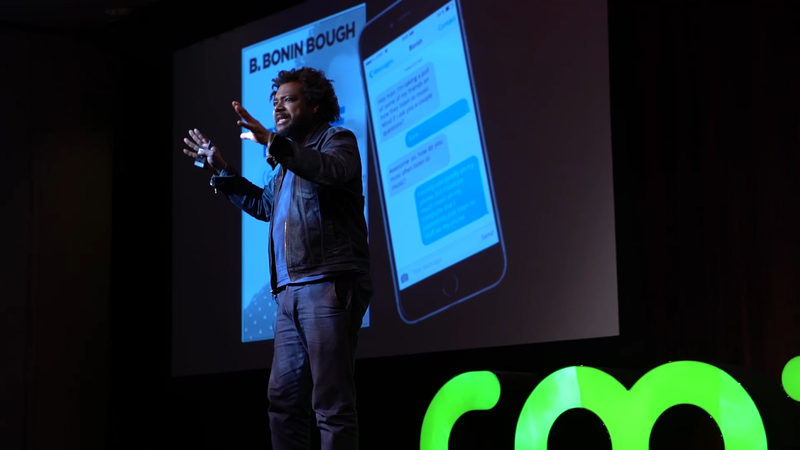 The future of marketing is messaging. Companies don’t need your email or your home address anymore. All they need to communicate with you is your mobile and a messaging app like Facebook Messenger. Sure, email lists and addresses are still incredibly valuable and should be collected if available. However, there’s no better way to reach a consumer today than through their most sacred mode of communication, mobile messaging. It’s direct access to your consumer. I was just walking up Houston Street in Manhattan, and I saw a text-to-buy ad campaign posters lining the entire street. The ad was a collaboration between Alexander Wang and Adidas, launching their new collection. So I texted the number — that easy. However, before sending me a link to peep their new collection, I was asked to fill out a form with my email address and other information. I was really excited to see this ad from Alexander Wang and Adidas, but was a bit disappointed with the execution. I was texted back to check the poster and find a code. Now, I’m very happy that companies are starting to get into messaging. I believe it’s going to change marketing and the way we interact with companies, which I’ve been talking about for years. It’s not going to be perfect at first. It’s going to take a while for companies to master this new form of marketing, but companies need to dive all in. They can’t be asking through messaging to subscribe to email lists or to provide more information in an online form. They have your phone number! It’s the single best way to reach everyone. Messaging is going to be the simplest way to connect with consumers and transform commerce that we’ve ever seen. But to win, you’re going to have to do it right. I still praise Alexander Wang and Adidas for this text-to-buy campaign. While there are certainly areas they can improve on, it is excellent to see big companies getting into the text-to-buy space. The most important thing they should try to do is provide the best customer experience they can through messaging. They should also not ask for additional information unless it’s to connect on Facebook Messenger or another messaging app. Requesting other information is simply too much to ask. Companies can learn way more from your phone number than they can from your email. You’re going to start seeing a lot of these marketing campaigns pop up. And I’m excited to see all the creative executions big and small businesses are going to develop in the messaging space. And if you do own a business and aren’t leveraging these messaging and text-to-buy marketing campaigns, then you’re missing out on a huge opportunity.